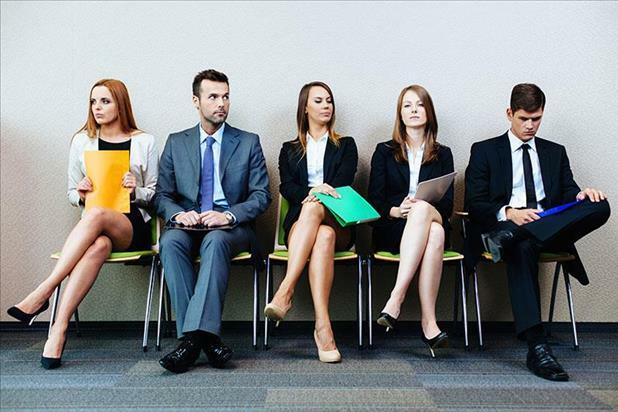 First impressions are critical in the job search world. 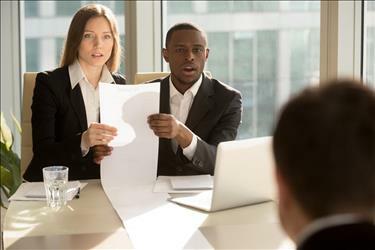 Your resume has pulled its weight and landed you an interview, so now it’s up to you to continue nurturing the hiring manager’s positive perception of you as a potential employee. A key component of interview success is what you wear. An excellent wardrobe won’t make up for a lack of experience, but neglecting to pay attention to what you wear to an interview could negatively impact your chances of landing a position you are perfect for on paper. As simple as this sounds, dress professionally for all interviews, regardless of the company dress code. It is far better to come to an interview overdressed vs. underdressed. Dressing professionally also impacts us psychologically – if your outfit makes you feel confident, enthusiastic, and powerful on the inside, it will show on the outside. Opt for well-fitting suits and never wear jeans. Men should always wear a tie and women should be conscious of their neckline and the length of their dress or skirt, if wearing one. Don’t forget about footwear – ensure your shoes are clean and as like-new as possible. For women, closed-toe shoes with modest heels are a good choice. Avoid sandals (even in warmer weather). Be sure your nails are clean, your perfume or cologne is lightly applied, and your hair is neatly styled. When it comes to tattoos and piercings, consider taking out facial piercings and selecting clothing that covers tattoos (at least for the first interview). Tattoos and piercings may be perfectly acceptable in some companies and have become more common among some generations, but they can still be a significant turnoff to certain audiences. Interviews are daunting enough on their own – don’t add to your anxiety by choosing what to wear last minute. Select your outfit the night before, removing any lint and ironing out any wrinkles. Try everything on to ensure it fits. If your clothing is uncomfortable (i.e., too tight), it will distract you and it will be difficult to hide your discomfort during the interview. When it comes to colors and patterns, you can’t go wrong with solids and neutrals. However, depending on your industry and the culture of the company you are interviewing with, it may be advantageous to work in a patterned accessory or color pairing to show your creativity. Applying to a high-end fashion magazine? Ensure your outfit is on trend. Interviewing with a financial institution? Opt for traditional business wear. There are a lot of studies out there on the messages certain colors relay (for example, red = aggression and green = wealth), but also be aware of how colors look on you. A shade may compliment your best friend’s complexion but make you look tired and washed out. When in doubt, blue and grey are two colors that are both safe and universally flattering. Now that your outfit is on and you’re headed to the interview, don’t forget to discard your gum before entering the building, leave drinks in the car, and silence your cell phone. Your clothing will make a statement about you before you even have the chance to introduce yourself, so make sure you’re sending the right message by dressing the part.